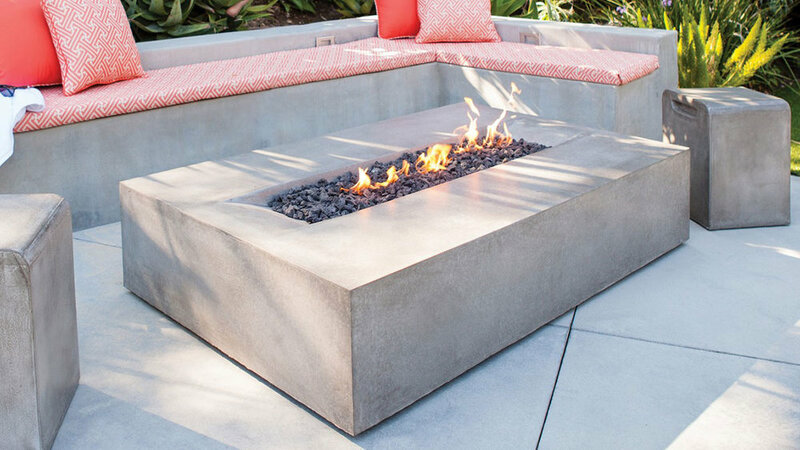 Custom gas fire pits are a beautiful addition to any patio, but dealing with the gas line for them can be a hassle. When you want the ambiance and warmth of a fire with the convenience of a push button start, then a custom gas fire pit is the right solution. We offer custom creations that will perfectly suit your décor while making your home stand out. Our company was founded in 1980, and we’re still known for our meticulous work and impressive customer service. We can take care of the entire process. We’re able to work with high- and low-pressure gas lines, so we can handle all types of fixtures and projects. You can go to the store and buy a standard fire pit, but it won’t quite blend with your patio. The beauty of a custom gas fire pit is that it will be a seamless addition to any patio. You can adjust the shape to compliment your pool or go with a tall back wall for extra privacy. 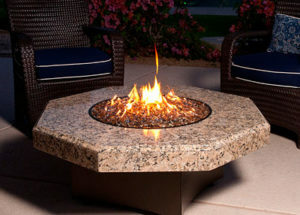 We’re able to put the fire pit in almost any location since our professionals will run the gas line, and we take pride in finding ways to overcome challenging gas installation situations. We can install your new fire pit along the edge of your patio or right in the center. Add the warmth and beauty of a fire pit to your yard so you can sit out under the stars, or you can have it brought closer to your property and placed under an arbor. When we install gas lines, we start by considering the appliance and how much pressure will be required. We’ll include all the necessary shutoff valves to ensure that your home is completely safe. We can even assist you with concerns about existing lines. If you’ve shut down your system due to a leak, we can get it up and operational again. Our installers are highly experienced, fully licensed, and insured. We know how to address all types of challenges. If you’re worried about an aging system, you can have us check for gas leaks and outline the treatment plan. We offer a one-year warranty on all gas lines, and our manually operated custom gas fire pits come wit a two-year warranty. We want you to be completely satisfied with the beautiful results, so we’ll give your job the care and attention it deserves. You’ll rest easy knowing that we stand behind our fine workmanship. We specialize in gas appliance installation, and we’re looking forward to transforming your home with custom gas fire pits. If you’re ready to start on your patio, then give us a call. Our highly skilled gas technicians will provide the needed expertise from the initial planning to the installation. We’ll show you how to operate your custom gas fire pits and answer any questions that you have along the way. You can make your property stand out while creating a truly impressive fire pit that you’ll enjoy using for many years to come.